Former Bar Association head Atty. Effi Naveh threatens to sue the Army Radio Criminal Affairs reporter and the station for the invasion allegedly committed against his privacy. Naveh demands that Hadas Shteif and the station apologize for their actions, compensate him in the amount of NIS 5 million, and return the material removed from the breached mobile device. Naveh says if she does not comply with his demand he will consider filing a claim against the station and against Steif. On Sunday, Naveh filed a police complaint about the theft of his cell phone. The complaint related both to the device's theft and as he claimed to hacking and using the contents contained therein. The complaint was filed on Naveh's behalf by his attorney Boaz Ben-Zur, stating the device that was breached was "a private, password-protected mobile phone that shouldn't be in the hands of anyone other than Mr. Naveh. No one has permission to make any use of it." The complaint further stated that "taking the device, breaking into it, receiving and holding it, examining it, and leaking the materials found in it are all clear criminal offenses that require police investigation." The device was handed over to Army Radio reporter Hadas Shteif, who reportedly broke into the device with the help of experts and was exposed to its content. Later, for fear that her actions would constitute a criminal offense, she came to an agreement, with the mediation of the Judge Advocate General's Office representing Army Radio, with the State Prosecutor's Office to transfer the device to the State Attorney's Office in return for immunity from prosecution. 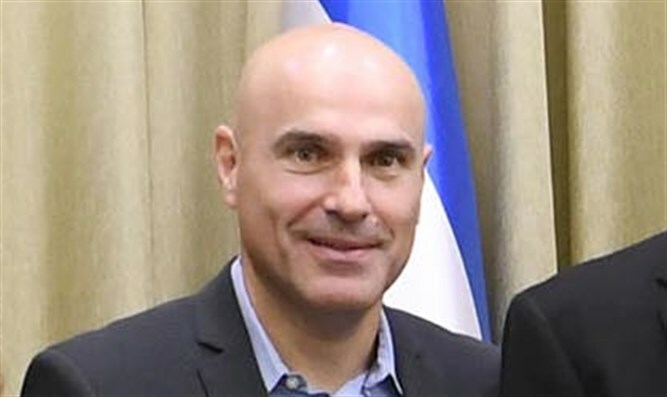 Following the device's transfer the police opened an investigation against Naveh and against a judge and a lawyer on suspicion of involvement in the affair of sexual bribery in exchange for appointing judges.